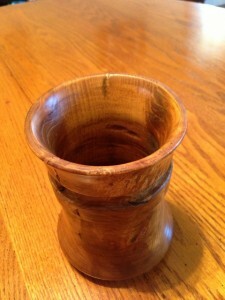 The first three pictures are vases that George made as Christmas presents this year. Two of them are made out of Redwood, while the third is made out of Oak. 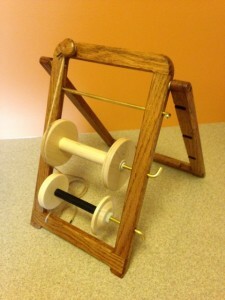 A Lazy Kate that George made for his youngest daughter who works with wool and yarn. 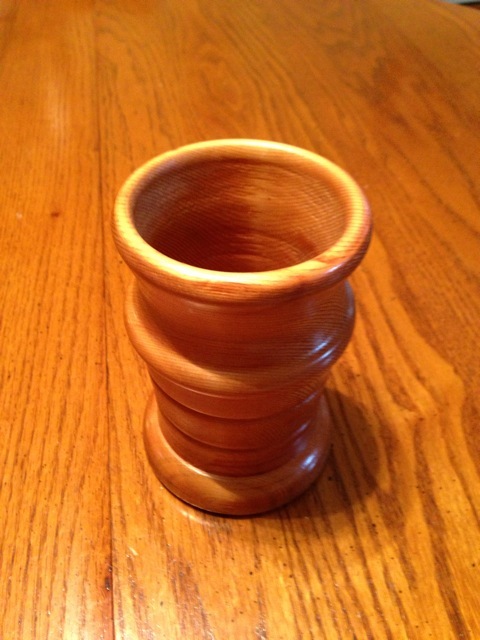 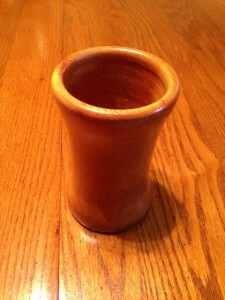 It is used for plying yarn. 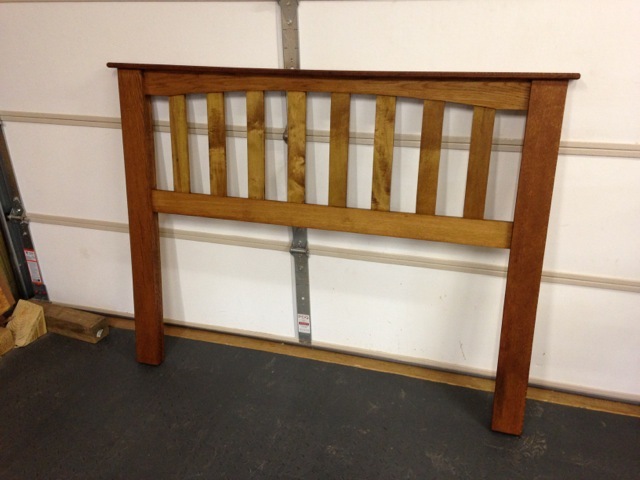 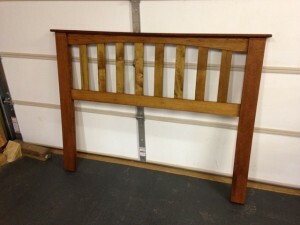 A headboard made out of Oak and Maple for George’s wife, which he originally said he would make for her 10 years ago. Now that he has his new shop, he had no more excuses to put it off and so it was finally time to make it. 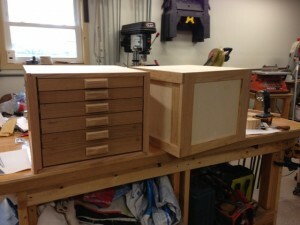 Drawer cabinets made for his son. 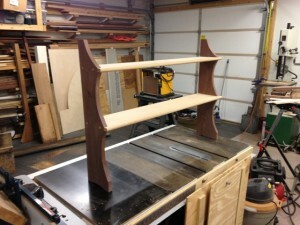 He stores belt blanks that he will finish to fit a customer at the renaissance fair site. George used to have a phobia about making drawers when these were started, but apparently that got worked out by the time he was done! 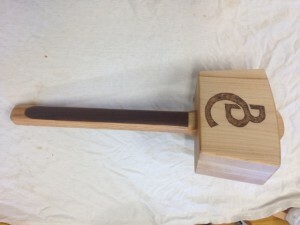 A Traditional Wooden Mallet for his son who does leather work at renaissance festivals.